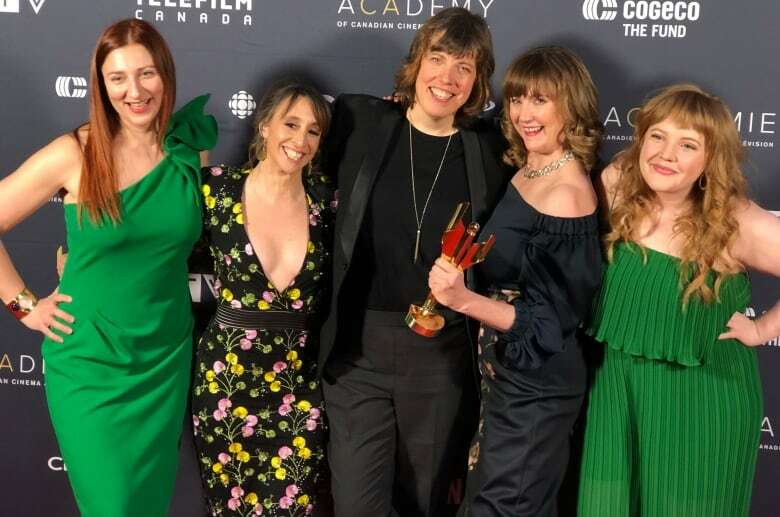 The CBC series Anne with an E and the CTV detective drama Cardinal: Blackfly Season nabbed the most trophies on the second night of the Canadian Screen Awards. Each got five nods at a Toronto gala honouring creative fiction storytelling on Wednesday. Anne with an E, which is inspired by Lucy Maud Montgomery’s classic novel Anne of Green Gables, won honours including best supporting actor for R.H. Thomson and best supporting actress for Geraldine James. The two play siblings Matthew and Marilla Cuthbert, who take in teenage orphan Anne, played by Amybeth McNulty, on Prince Edward Island in the late 1890s. Cardinal‘s wins included best limited series as well as honours for direction and writing. The CBC comedy Baroness von Sketch Show and the TVOKids educational series Odd Squad each landed four awards. Baroness was named best sketch comedy show and ensemble performance, among other honours. Odd Squad‘s awards included best children’s or youth fiction program or series. Getting three honours each was Bell Media’s small-town sitcom Letterkenny and TVOKids’ hit animated series Paw Patrol. Letterkenny won in categories including best achievement in casting, while Paw Patrol took trophies including best animated program or series. 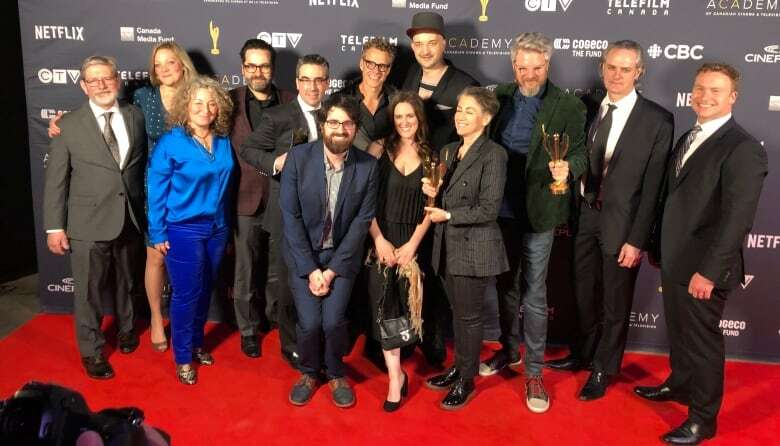 Other winners included the CBC riches-to-rags comedy Schitt’s Creek, History’s drama series Viking and Global’s end-of-life drama Mary Kills People, which each took two awards. 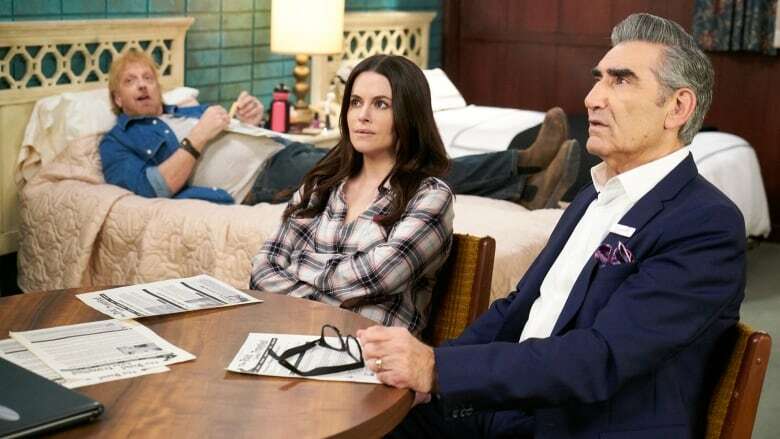 Emily Hampshire, seen here with Chris Elliott, left, and Eugene Levy, won for her supporting role as Stevie on Schitt’s Creek. The wins for Schitt’s Creek, which recently announced its next season will be its last, were acting nods for Emily Hampshire and Noah Reid. Schitt’s Creek and Anne with an E were the leading nominees with 15 nods apiece going into this year’s Canadian Screen Awards week, which honour film, TV and digital media. The bulk of the trophies are being handed out in galas this week, while select top categories will be presented during Sunday’s broadcast gala on CBC and Gem streaming service.